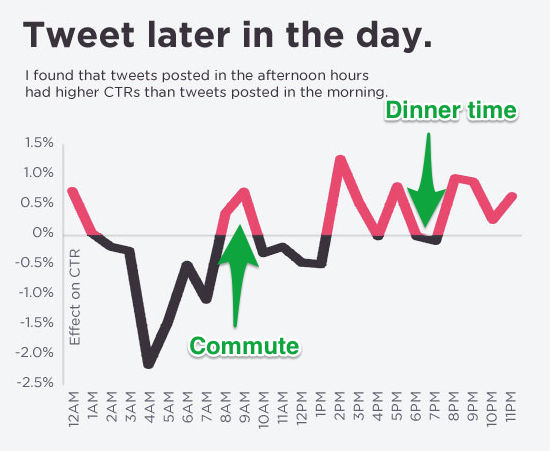 When should you be tweeting? What time of day maximizes exposure amongst your audience? Whether for personal use or business use, those who tweet want to maximize the number of views each tweet gets. 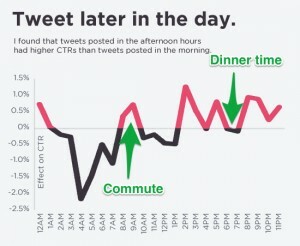 The most common method of determining this time is tweeting during the hours of highest usage. These time frames may include morning, lunch time and after work. Makes sense right? More recently however, a research team at the University of Maryland has created a formula. This formula takes into account the activity of each of your followers in combination with a prediction in future activity and behaviour. The proposed algorithm looks to answer the question asked at the beginning of this article; what time of day maximizes exposure? This study has clearly identified exposure in terms of the number of “retweets” an individual tweet received. For those who may not be familiar with Twitter, a “retweet” is when a follower shares a company or person’s tweet with their own set of followers. For example, Tim Horton’s may tweet about a new donut flavour for that month and since I “follow” their Twitter account, I can than decide to “retweet” that message which will then be shared with all my followers. My set of followers may not follow Tim Horton’s directly but because I shared it, my followers are now exposed to that specific message. This is how organization’s spread their message on Twitter and gain substantial exposure. Being retweeted is the goal; the more retweets, the bigger the audience exposed to that company. Getting back to the timing of tweets, Twitter behaviour stays relatively the same throughout the week but changes once the weekend arrives. The start of the work day welcomes extreme amounts of retweeting as people catch up with what happened overnight. Traffic declines throughout the day and picks back up around lunch time. A decline happens again up until around dinner time (5 or 6pm). People are home from work and have free time which explains the spike in traffic after dinner time. While the weekends witness a more consistent distribution of time spent on Twitter throughout the entire day. As was mentioned before, these times would be peak times for activity. Another time that would impact exposure would be when a big news story hits or a trending topic explodes. The University of Maryland conducted a study on the two methods just described, along with their own formula in order to determine the most effective method of the three. This formula came to be through research that was performed over two years for five weeks at a time between 6 am and 10 pm on 15,000 Twitter users. Data was collected over the first four weeks while the fifth week was used for model testing. What the researchers found was that the formula they had calculated proved to be the most efficient in generating the number of retweets over the guessing game required for the other two methods. 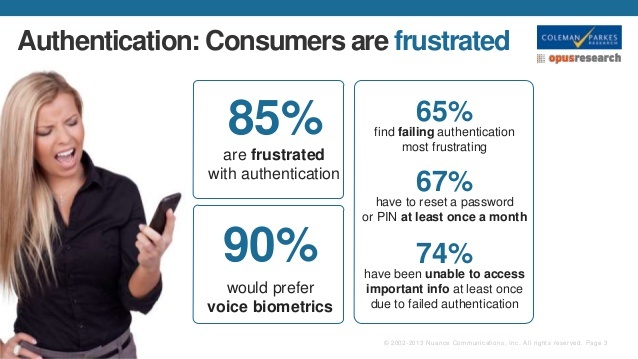 So why should we care; organizations have the ability to maximize message exposure through Twitter. This will be an extremely important when it comes to marketing. Dollars can be spent more efficiently and companies can be more confident that their campaigns are reaching the desired number of people. Tweeting will soon (if not already) become a science.